Read more. To download infographic below, click here. The prevalence of non-traditional tobacco use among First Nations (on-and off-reserve), Inuit and Metis population in Canada is significantly higher than the general population. High rates of smoking disproportionately affect the proportion of chronic disease among Ontario Aboriginal communities. 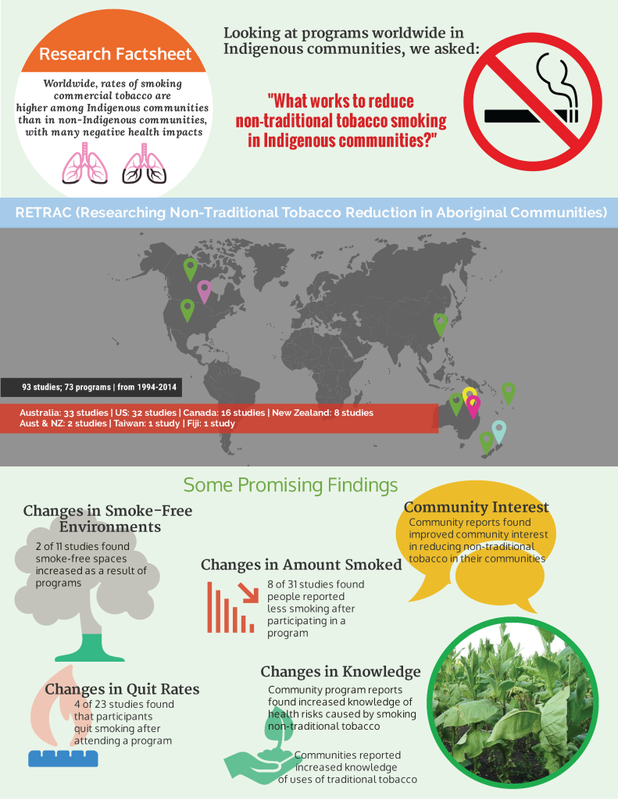 This study is focused on understanding how interventions can address non-traditional tobacco use in unique contexts of Aboriginal communities (on- and off- reserve) in Ontario. Who & what is involved? 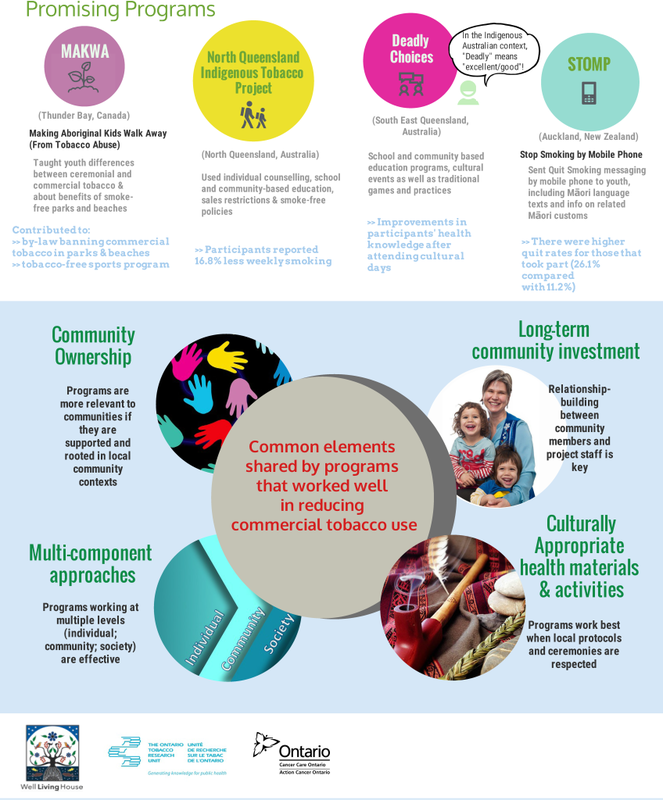 Seven Aboriginal communities across Ontario are involved in exploring the unique context of non-traditional tobacco us in their communities and what interventions can be used to address commercial tobacco use.